Basic Brioche Bread Recipe - Let the Baking Begin! 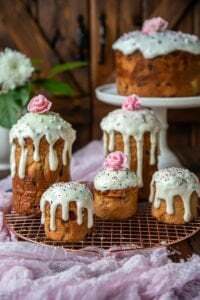 Basic Brioche Bread Recipe is made with an egg and butter enriched yeast dough that is very fluffy, yet moist and perfect for so many other! Serve it sliced for regular or French toast, shape and bake it into Easter Bread, or serve it as brioche buns for dinner. If you have any leftovers, which is unlikely, use it to make bread pudding. Whether you decide to slice the brioche bread for sandwiches, or tear it apart and serve as dinner rolls with dinner, this recipe is a must-know for anyone who wants to try their hand at yeast bread making. Understanding how the yeast dough works will take away the intimidation factor out of working with the yeast. I have tested this recipe every way possible so that I can share everything you need to know to have a successful batch every time. Whether you have a stand mixer, a bread maker or decide to make it by hand, you can make brioche at home! 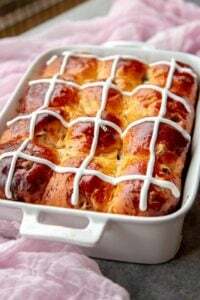 This brioche bread is also the base for my Easter Bread, which you have seen me test out gazzilion times on Instagram. I will share that recipe next! Tip – if you just want the recipe, scroll all the way down, otherwise, read on to learn all about brioche. The brioche bread can be served “dinner-roll style” or sliced like bread for toasts. It’s a lightly sweetened French bread that is a cross between a bread and a yeast-based pastry. The egg and butter rich brioche dough is soft, fluffy and beautifully tender. This type of pastry bread can be used for both sweet and savory purposes like the french toast, or a simple egg sandwich. For a fancier savory version, try a Croque Madame sandwich with brioche bread, ham, cheese, creamy béchamel sauce, and an egg. Can you say “yumm”? But! Don’t think that this brioche needs anything to “fancy” it up. It’s good just as is! The dough has a pleasant buttery rich flavor which doesn’t need any dressing up at all. So a cup of tea or milk and a slice of brioche and you’ve got the perfect breakfast or a snack. It doesn’t hurt that all that butter in the dough makes this brioche bread stay fresh for as long as 4-5 days! And I don’t mean “barebly” soft, I mean still as good as ever soft! The ability to peel the brioche buns in layers is due to the well-developed gluten strands in the dough. The proper gluten formation is achieved when the dough has been kneaded until smooth and no longer sticking to the sides of the mixing bowl. A proper brioche dough needs to be kneaded until soft, smooth and elastic, then allowed to rise for 1 hour. Next, the brioche dough needs to be refrigerated for 4 hours or up to 2 days. After that, then you remove it from the fridge, punch it down and shape. After the brioche proofs one more time it is ready for baking. This is a tedious process that does yield the best tasting results. During the refrigeration process, the flavors of brioche deepen, mature and fully develop. The flour has the time to fully absorb the liquid and the butter can solidify. The cold brioche dough is easy to shape and this is important since warm, butter ladened dough can be runny and harder to work with. When the brioche is properly baked through it is nicely golden throughout, weightlessly soft and springs back after being pressed together. BUT! What if you want brioche, but don’t have the time for refrigeration? Well, go ahead and skip the refrigeration and just allow it to proof once, before shaping and giving it a final proofing. I have done this and the flavors and texture were not as good as when you do refrigerate it, but still – very good! So, feel free to skip it, if you must. There are 3 ways to make the brioche dough. Make your choice depending on your needs and equipment availability. By hand – you most likely already have the equipment (hands), but it is the most labor intensive. If you have some built up frustration that needs a way out, this is a good way to get it out! Still, this particular dough is very sticky and runny in the beginning, which makes it a bit difficult to knead. With a stand mixer – this one is a good choice, but if you plan on making a lot of bread, or a lot of kneading a typical KitchenAid mixer is not a fan of that. Don’t ask how I know that. 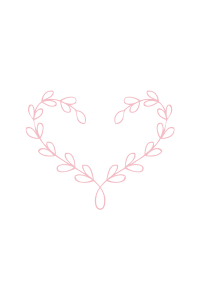 Just believe me. With a bread maker – this thing is built just for bread, so naturally, it’s the best and easiest choice for making brioche or any other kind of yeast-based dough. Also, the bread machine doesn’t need a lot of supervision, like the stand mixer method. Out of the three methods, this one is my favorite because the shape of the mixing paddle creates the best motion for stretching those gluten fibers. This picture was taken 24 hours after the brioche buns were baked. Thanks to the butter they were still very soft and fresh tasting, unlike other baked goods with less butter. Check your yeast: if you haven’t used your yeast in a while and don’t know it is still active, dissolve the yeast in warm water with a teaspoon of sugar and leave in a room place for about 5-10 minutes. If it gets bubbly and puffy, use it. If not, do not even attempt the recipe until you get unexpired yeast. Use Canadian or bread flour if available. The increased protein content of these flours is best for yeast-based baked goods. Use Red Star Platinum yeast. This yeast is very forgiving and will provide phenomenal results even if you’re a novice baker. If you try it once, you’ll never go back to any other, just like I haven’t. It is more expensive than other yeast, but only about 1$ per batch, so not too bad. Make sure to knead the brioche dough until it looks very smooth and doesn’t stick to the sides of the bowl as it spins around. If it doesn’t look smooth, just continue mixing and it will! Use a kitchen scale to measure the ingredients for consistent results. Using a cup to scoop flour (sifted or unsifted) will yield different amounts every time. Using a scale is your golden ticket to success. One of the most delicious ways to enjoy these Brioche Buns is to tear them apart, then spread some butter and top with jam – apricot or peach jam is my favorite! Now that you’re armed with all this knowledge, let’s get to the recipe itself! Brioche dough uses classic ingredients: flour, eggs, milk, butter, sugar, yeast and salt. I add vanilla and more sugar if I know the brioche bread will be used as a dessert. I omit the vanilla and use less sugar if the bread will be used for savory purposes. Combine all ingredients but the butter and salt in a mixer bowl or the bread maker. Knead for about 20 minutes or until smooth and pulls away from the sides. Add the butter in halves and salt and allow the dough to knead it in. You might have to break the dough into chunks to help the mixer or the bread machine to knead the butter in. This might take about 10-15 minutes. Tip: If using the bread machine for the kneading and proofing, you can add the butter and salt when the machine beeps, signaling that it’s time to add the “add-ins”. This usually happens bout 20 minutes into the kneading. If the butter doesn’t fully incorporate before the bread machine stops kneading and starts the “proofing cycle”, turn the dough cycle OFF and ON again and let the dough go through one more kneading cycle (another “DOUGH” cycle). The extra kneading time will be perfect to finish the kneading. Tip: To save time, all ingredients (including butter and salt) can be added together and kneaded until the gluten is well-developed, the dough is elastic and stops sticking to the bowl. Adding the butter and salt right away, can make take longer to get to the point where it doesn’t stick to the sides. From left to right: 1 – liquids added; 2 – flour & yeast added; 3 – dough comes together but looks chunky; 4 – dough is smoother, but not there yet; 5 – dough is smooth AND doesn’t stick to sides, time to add butter; 6 – dough is torn into chunks to help the butter incorporate; 7 – more butter is added; 8 – salt is added; 9 – the dough looks smooth and ready for proofing. If you’re planning to make the brioche with dried fruits, chocolate, citrus zest or other add-ins, knead them in after adding the butter just until they’re evenly distributed throughout the dough. The process for making the dough with add-ins (Add-ins: dried fruits soaked in hot water or rum, then drained or chocolate & orange zest) is the same as making the regular brioche, except for the addition of add-ins after the incorporation of the butter into the brioche dough. Proceed to split the dough into 16 equal balls and divide them between two 9″x5″ bread pans. Allow to proof for 1 hour, then cover and refrigerate for 4 hours. Next, roll re-roll each ball again and allow to proof again. Now bake until golden. From left to right: 1 – dough balls rolled right after kneading; 2 – after proofing for 1 hour; 3 – covered with plastic for 4-hour refrigeration; 4 – after refrigeration the brioche dough balls are re-rolled again; 5 – brioche bread is allowed to proof until doubled in size; 6 – after baking. Allow the brioche bread to cool, then tear or slice and enjoy! 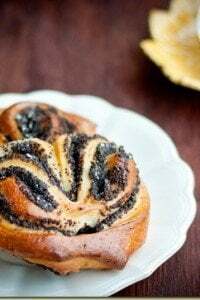 Poppy Seed Pastry Buns – my grandma’s specialty, these are such a treat! Fried Meat Piroshky – something savory for you, you’re going to love them! White Chocolate & Blueberry Bread Wreath – Filled with chocolate and blueberries it’s a dream as toast with butter! Basic Brioche Bread Recipe is an enriched yeast dough made with lots of eggs and butter. This buttery pastry bread is perfect as dinner rolls or the best french toast among a ton of other things. Grease a large bowl with oil or nonstick spray, set aside. 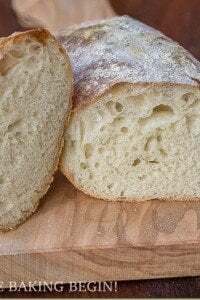 Combine and knead: Add 4 eggs, 3 to 8 tablespoons of sugar, 1 tsp of vanilla (if using) and 2 tbsp + 1 tsp of water in a mixer bowl or the bread machine. Top with 350 g flour and 2 1/4 tsp of yeast and knead on low speed until it barely comes together. Then knead on medium-low speed for about 20 minutes (on a KitchenAid stand mixer - speed 3). If using the bread maker, keep the lid open to prevent the dough from being heated too much and becoming too runny. When the gluten is fully developed in the dough and it looks smooth, elastic and doesn't stick to the bowl as it spins around the bowl, stop kneading. - The dough will still stick to hands and everything else if allowed to stay for longer than 1 second, but when it spins around the bowl, you will see it pull away from the sides. Check for gluten development: Another way to make sure the gluten is developed (windowpane test) is to stretch a small piece of the dough into a square, creating a "window" - if the dough gets very thin, smooth and translucent and doesn't' tear in that window, the gluten is well developed. Add butter and salt: Next, add butter in halves, in small cubes and continue kneading until the butter is fully incorporated about 15-20 minutes. You might have to break the dough into small chunks to make the incorporation with the butter easier. Add the dried and re-hydrated fruits, citrus zest, chips or any other add -ins halfway through the butter being incorporated into the dough. Rise and chill: Allow the dough to rise at room temperature*** for 1 hour, then cover and chill for at least 4 hours or up to 2 days. After that, remove from the fridge and shape. Oil the inside of two 9"x5" loaf pans or line with parchment paper. Split the dough in two. Divide each half into 8 small balls. Place 8 dough balls into each 9"x5" loaf pan and allow to rise until at least doubled in size, about 1 - 2 hours. Lightly brush the tops with egg yolks. 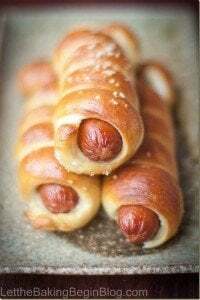 Place in a preheated to 350F oven and bake for about 20 minutes, or until the inside registers 185F degrees and the tops are golden in color. If the dough browns too fast, loosely tent the top with foil. Store the Brioche Loaves in a ziplock bag for up to 4 days or tightly wrap with plastic wrap and freeze for up to 1 month. Dissolve the yeast in the water (amounts in the ingredient list) with 1 tsp of sugar. Allow to proof in a warm place for 5-10 minutes. If the mixture gets foamy and bubbly, use it (add with the liquid ingredients). If not, do not attempt the recipe until you get good, active yeast. Soak the dried fruits (blueberries, cranberries, chopped apricots, raisins, etc.) in warm water or rum (Bacardi rum works well) for at least 30 minutes, or better yet - up to several days ahead. Keep refrigerated if soaking more than a couple of hours ahead. Then drain and shake off or paper towel dry all excess moisture. Knead the dried fruits into the dough right before all the butter is kneaded in. Oven with the light on is a great place for proofing dough, it is draft free and the light makes the temperature slightly warmer than room temperature. Otherwise, top of the fridge or cabinets is another good place. The temperature is higher, the higher up it is. Bake in a 9"x12" buttered baking pan. Hi Vera, if it’s very warm in your house it could be that the butter is too soft and it’s making the dough too runny. Just knead it for the appropriate amount Of time then refrigerate. It will shape up in the fridge and be easier to work with. If you have Instagram you can shoot me a message with the picture of the dough. The post discribes different methods to getting to the end result. If you have the time, do refrigerate the dough, then punch it down, shape it and let it rise again before putting in the oven to bake. If you do not have the time for the refrigeration, then knead the dough, let it rise (skip refrigeration), punch down the dough, shape and bake. The shaping before refrigeration is an optional step. I like to split the dough before refrigeration, that way I don’t have to dirty up my table to divide the dough hours later. Instead, you just remove the ball pieces out of the baking pan, reshape them and put them back into the pan, then allow to rise and bake. In the prep step, you mention to grease a bowl and set aside. Am I using the greased bowl to let the dough rise? Or to place the ingredients for mixing? Also, my dough seems a little sticky, it’s not pulling away from the bowl when kneading (I have kitchenaid 6qt pro 600), I used bread flour, and I don’t gave a scale. Do I need more flour? Grease bowl is to let the dough rise in it. The dough will be sticky, but when it’s being kneaded and rotating around the bowl you will see a change in the consistency and how it stops sticking to the sides. If it hasn’t changed, continue kneading until it does. What are the cup measurements in grams pls? Click the “Metric” right below the ingredient list in the recipe card and it will list the ingredients in the metric system.